In this post we look at the 17 Natural Ways to Lose Weight Fast. Being overweight is not good health wise as it raises the risks of killer diseases like heart disease and stroke, diabetes, high blood pressure, arthritis, breathing problems, gall bladder diseases and many more. Also there are some occupations and jobs that you can’t do when you are overweight like ballet dance, modeling jobs, sports and many more. This is not to put you under pressure or make you worry as they are many natural ways to lose weight fast and never gain it back if you make them a lifestyle and not a short term goal. Note that strict dieting don’t work in losing weight as many who have done this are so disappointed and most of them gain it back after a year or two. Besides it leads to eating disorders and other health problems, and most of the products that they sell and claim to help lose weight fast are toxic to the body causing lots of harm and health problems. Dieting also makes the body to go into starvation mode, the body thinks there is no food and it holds on to every single calorie tight leading to weight gain. 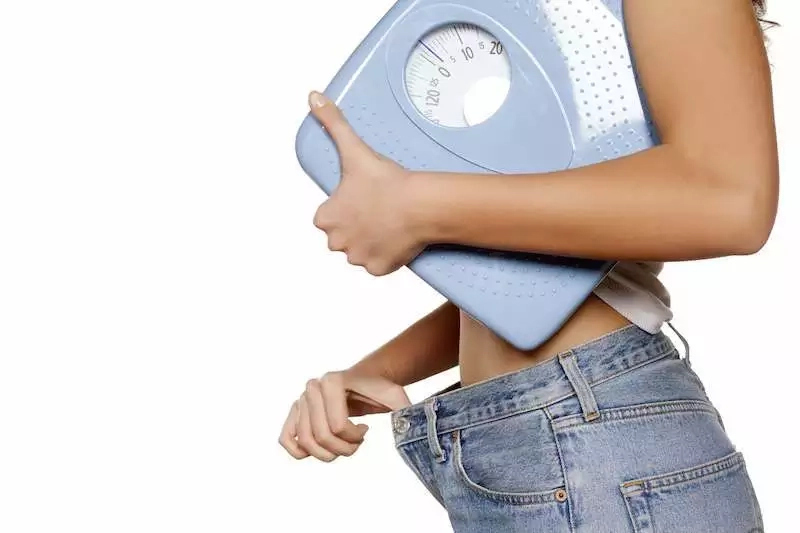 The best way to lose weight fast and not gain it back is going natural, and when you make this a lifestyle there is no fear of it ever coming back again. Drink a glass of water immediately you wake up every day as this helps to clean the body and kick start the body’s metabolism. Note that the water should be clean to avoid water borne illnesses. Drink 8 glasses of water each day as this clears toxins from the body and help lose weight fast. Yyes you heard me right. Most dieters think that skipping breakfast helps in losing weight but this is not true as studies have proved that overweight people eat little or no breakfast at all, whereas thin people eat large breakfast. But make sure that your breakfast is healthy, it should have plenty fruits and vegetables. Walk for at least an hour each day. Due to modern lifestyle, walking is now a thing many people fear but the body was designed to walk. Research has proved that walking resets your body’s weight set point and creates a lean and thin body. Many naturalists who are weight loss experts believe that walking is the best exercise for weight loss as it helps one lose weight automatically and effortlessly, have more energy, sleep better, be happy and less depressed. Walk at your pace, do not jog. You will see dramatic effect if you do this every day for one month and if you make it a habit, you will never gain it back again. You can eat all day as much as you want but when its 6 pm you stop to enable your body carry out the compulsory natural fast that occurs between dinner and the next breakfast. You also try to go to bed early to enable you sleep deep and well. During this time, the body is being repaired, broken DNA is being fixed and the digestive system is on break, but the body must be in a fasting state and sleeping well. Science proves that between the hours of 10pm to 2 am, healing happens, the body repairs itself including overweight. Waking up to eat at mid night is harmful and you will gain weight doing so. So avoid eating between dinner and breakfast to give your body time to repair itself. Use 100% organic, virgin, unrefined coconut oil for cooking and also taking it orally. It helps burn excess fat. Eat organic grape fruit everyday as it has an enzyme that burns fats. Avoid sugars, aspartame, monosodium glutamate, high fructose corn syrup and artificial sweeteners as they act as excitotoxin, they are addictive, they make one very hungry and crave for food and this increase weight and cause lots of harm to the body. they are loaded with ingredients that make you crave for food, they are addictive and they make one fat. Avoid white flour and anything made from it, it is addictive, it clogs up the digestive system thereby slowing down metabolism and makes one add extra weight. Instead use unprocessed organic whole grain flours that still have fibers. If you want to lose weight fast, avoid or reduce your intake of dairy and dairy products. Do a liver cleanse; when the liver is clogged, the individual will be overweight. Eat a huge amount of organic fruit salad at breakfast, lunch and dinner, include organic vegetables as well. They aid in weight loss. Add hot peppers to your meals, they increase metabolism and burn fats quicker. 12. Practice deep breathing as oxygen burns fats. Fast regularly as this aids in weight loss, a water or juice fast for a number of days in a month will detoxify your body, burn and flush out fat cells and reset your body’s weight set point. This is one of the fastest and most effective ways to lose weight fast and not gain it back. Reduce or eliminate the uncontrollable urge to eat when not hungry. You can overcome this urge by going for an outdoor sports or activity, read a book or leave the environment where the food is. Drink water before meals as this will fill you up and make you not to over eat. The water will also clear waste, toxins and excess salt from your body. Do not over eat, it is better you eat 5 little meals a day than 3 large portion a day, and make fruits and vegetables the major ingredients in your diet. Boredom is one of the factors that lead to weight gain; not leading an active life can make one gain unwanted weight. So make your life engaging and interesting and due to this activities, you will lose weight without efforts.